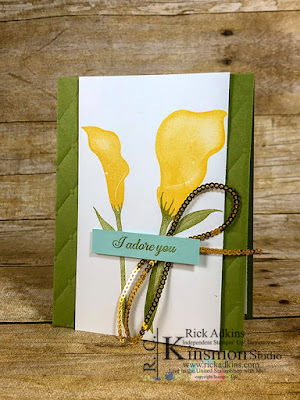 Hello and welcome to my blog; today I am going to share with you this super cute simple card with just a little bling. I cased this card using the Lasting Lily Stamp Set that's a Saleabration 2nd level reward. Speaking of Saleabration there are still 11 days left to take advantage of the Biggest Promotion Stampin' Up! offers each year. If you are ever looking for inspiration you should look no further then your own catalog and Saleabration brochure. I actually CASEd this card from the Saleabration Brochure. If you are wondering what I meant by CASE it means Copy and Share Everything or Copy And Selectively Edit. You're catalog and brochures are not only places to get products but card ideas, layouts, and great design elements as well. This is the card I used for inspiration for my card today. 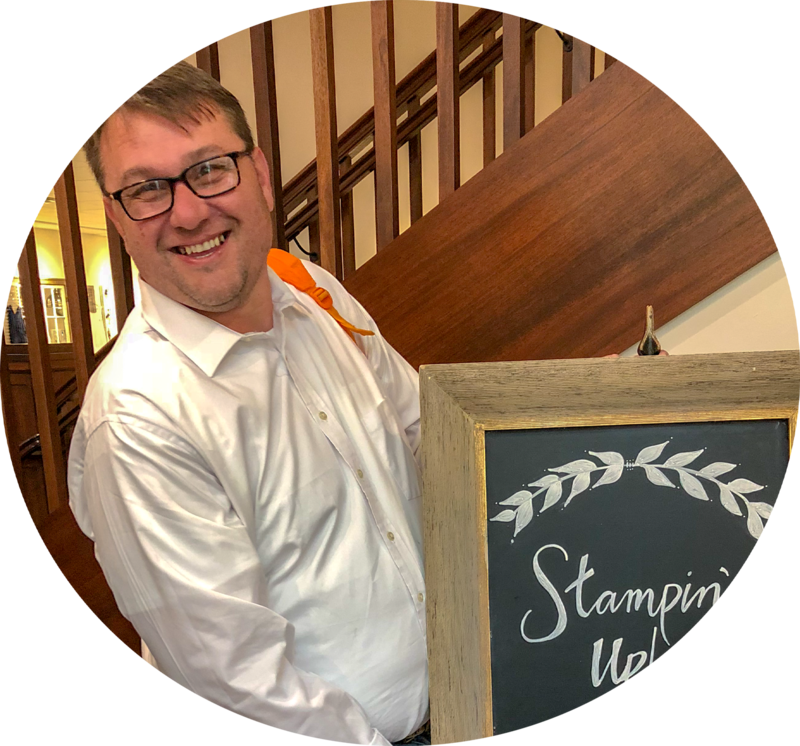 I didn't change a lot of what Stampin' Up! designed. I did change the embossing folder from the lace dynamic textured impression embossing folder that they used to the Tufted Dynamic Textured Impression Embossing Folder. Everything else I pretty much kept the same. 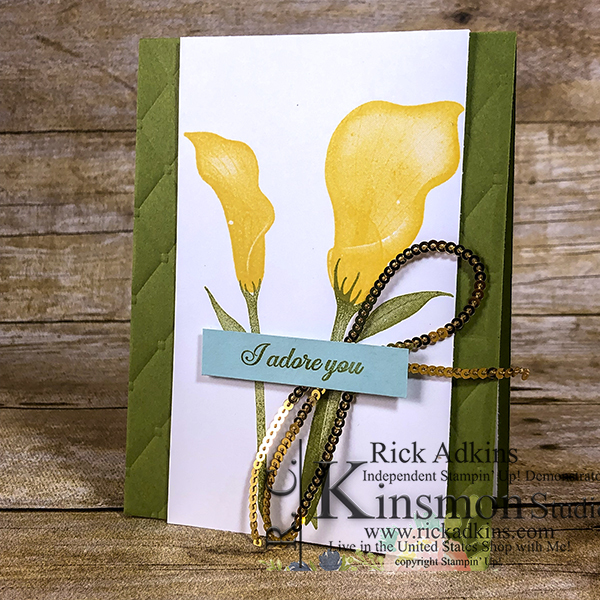 For my version of their card I used a piece of 4 x 5 1/4 Old Olive cardstock for my embossed piece. Then I added that to a piece of 4 1/4 x 11 Old Olive that was scored at 5 1/2. 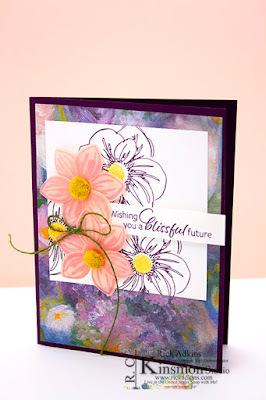 Then I added the piece of whisper white with the stamping. 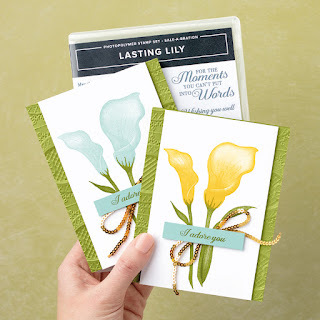 The Lasting Lily stamp set is just a wonderful all around stamp with Distinktive images and loving thoughts. This set will help you with the moments you can't always put into words. The Lasting Lily set will allow you to craft the perfect message of comfort and peace. I really wanted to share with you that you can find inspiration from places right at your fingertips. Sometimes you don't have to look any further then your front door. Thanks for dropping by today. 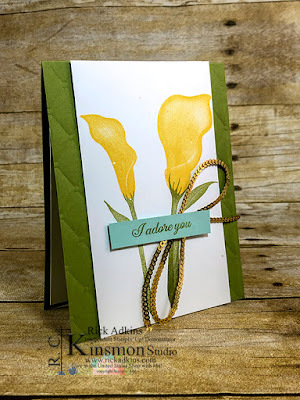 Remember you can earn the Lasting Lily Stamp Set free with a $100 order in my online store. You will find a list of the supplies I used on my card below. 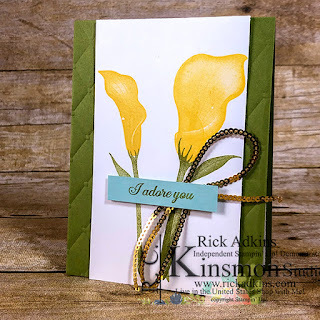 Labels: stampin' up!, crafts, cardmaking CASE the Catalog, I adore You, Lasting Lily Stamp Set, Lily, Saleabration, Stampin' Up!